Paregorik Harsh Noise: 7" split out now! Note: Split of two noise acts from Czech Republic and two from Germany. 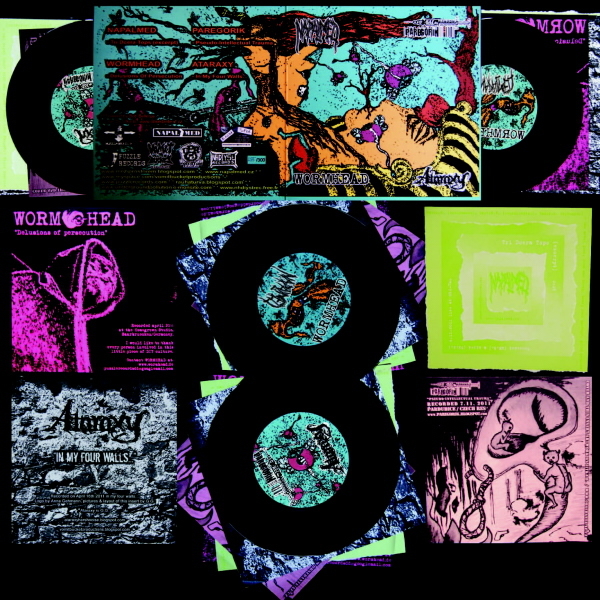 The finnest harsh noise by all 4 projects finally on wax. Full colored high quality paper cover, full colored labels, including 4 inserts, one by every project. Limited to 300 copies. Co-Released with Napalmed, Vomit Bucket Productions, Puzzle Records, Underground Pollution Records, Rauha Turva and NHDIYSTREC.